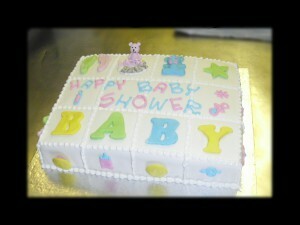 Here are a few of our baby shower cakes. 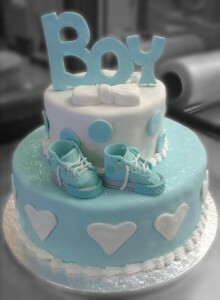 We have many more in-store! 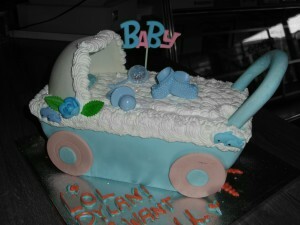 A cute pram cake for a cute baby boy or girl (different colours are available). 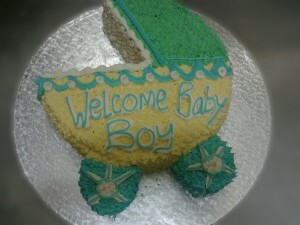 A great cake for a special baby shower.